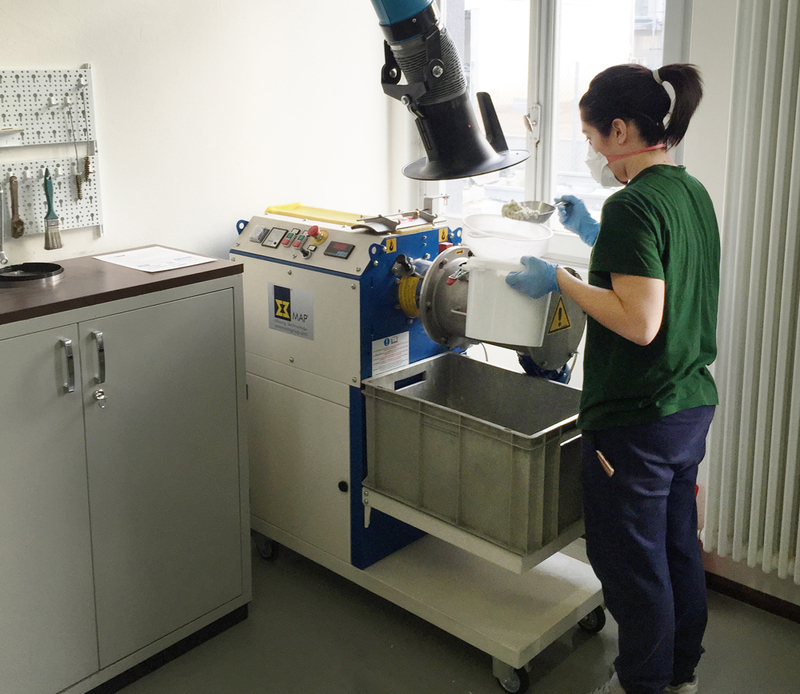 The advantages of the MLH induced REX SA from Mendrisio, in the Swiss canton of Ticino, to purchase a model with a 12-litre mixing chamber for their laboratory. REX is a renowned Swiss family-owned business, which produces components manufactured from elastomers and thermoplastics for different applications. Vibration dampers and gaskets for industrial applications are part of their portfolio, as well as components for the food industry. Under the brand name SWISSTOP, REX produces premium brake pads for bicycles, even used in professional racing. 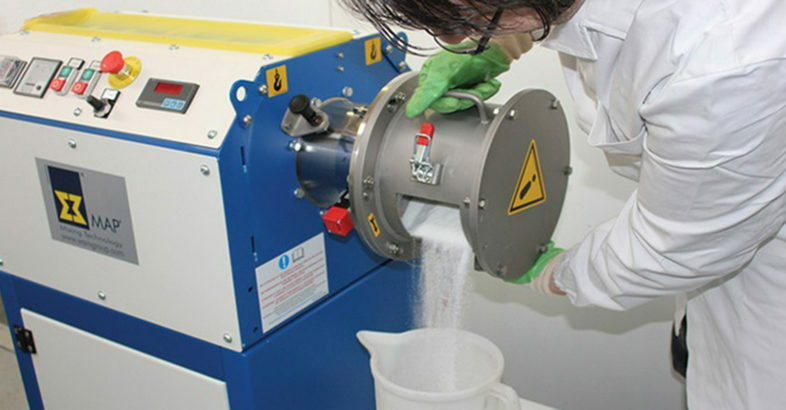 The MLH 12 Lab Mixer now provides the possibility to develop and accurately perform new mixtures leading to precise conclusions about future series production. Likewise, with the MLH small quantities can be mixed in industrial quality. Consequently, the MLH Laboratory Mixer helps assure the high demands on quality of the products offered by REX. Continuous and batch mixers, dust conditioners and granulators, ploughshare mixers, shovel tool mixers, ribbon blenders, twin shaft paddle mixers, conical screw mixers, laboratory mixers, continuous mixers for mortars or plasters, conditioners and granulators for ceramic or foundry dust, propellers for pneumatic conveying systems for dry building materials. WAMGROUP is a "bulk-online Leader"